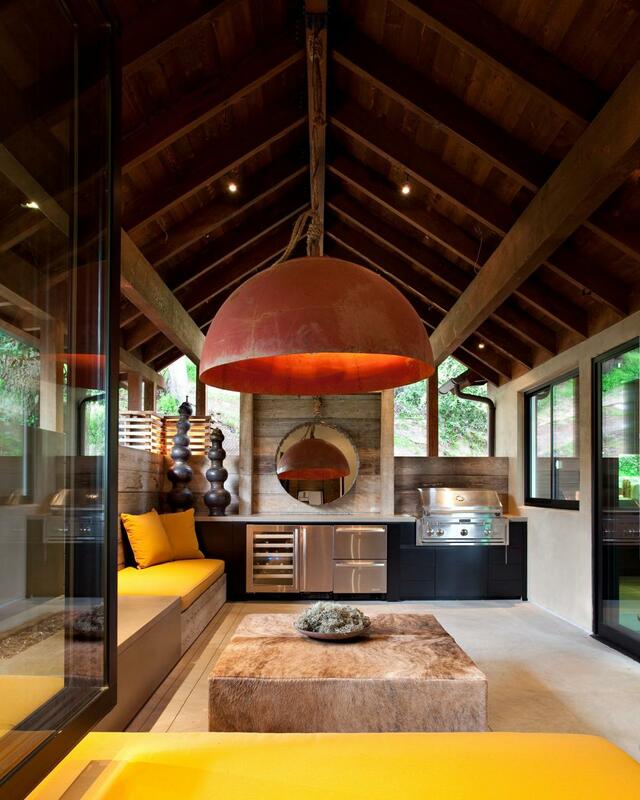 A kitchen is one of the most integral parts of a house. A place where you whip out healthy and mouth watering delicacies for your loved ones. 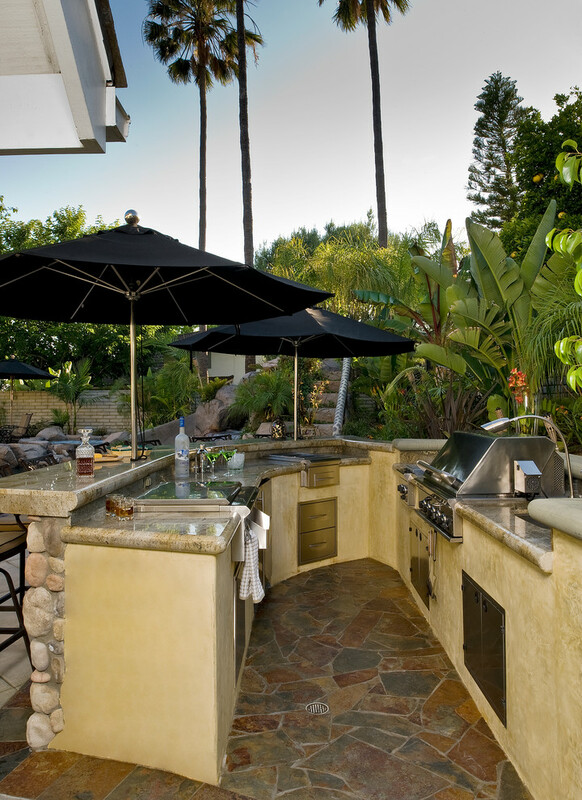 An outdoor kitchen definitely makes this all the more interesting what with you getting a chance to cook out of doors as you enjoy the nature. 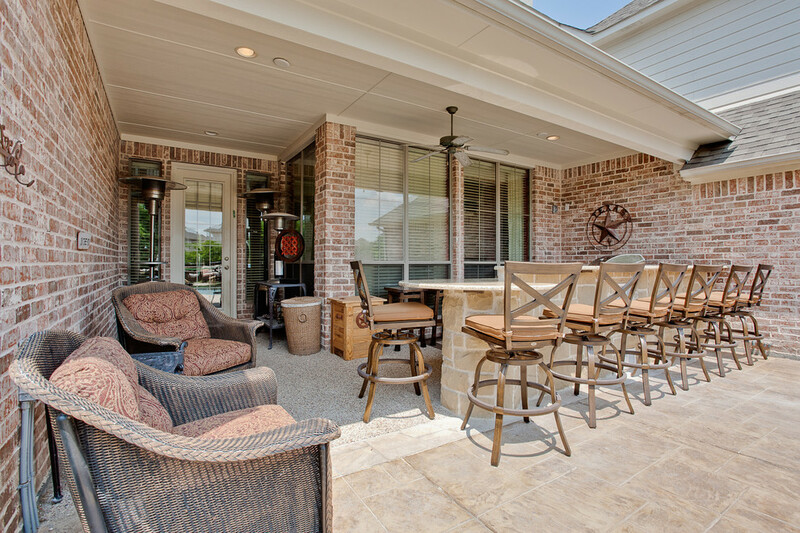 Won’t it be even more fun if you can have a cozy corner outdoors to enjoy your meal? 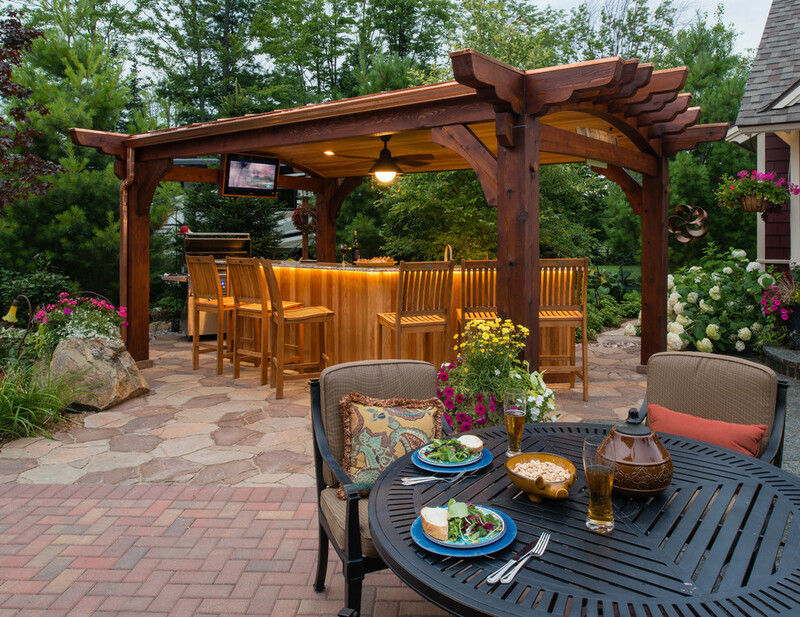 Well, designing an outdoor kitchen bar would give you a chance to cook and relish your meals with your loved ones in the lap of nature. Wondering how to go about this? 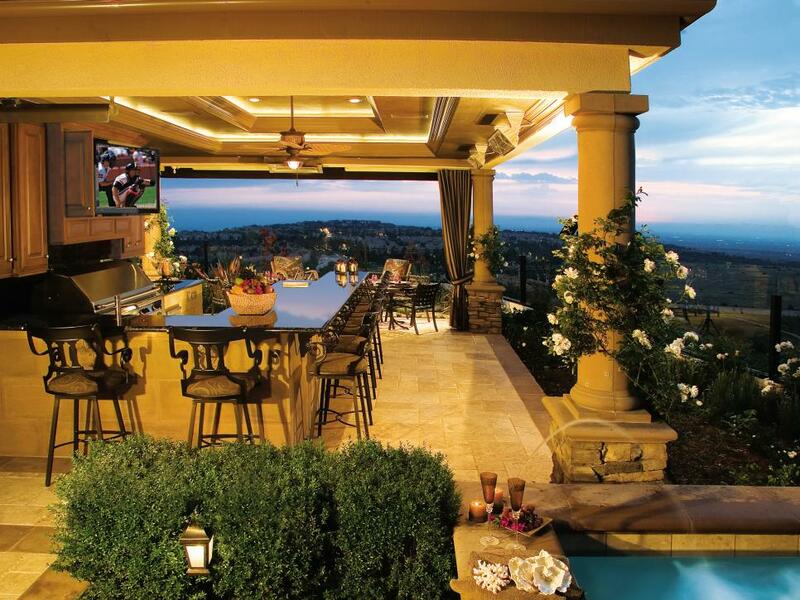 Take a look at some of these stunning outdoor kitchen bar ideas. 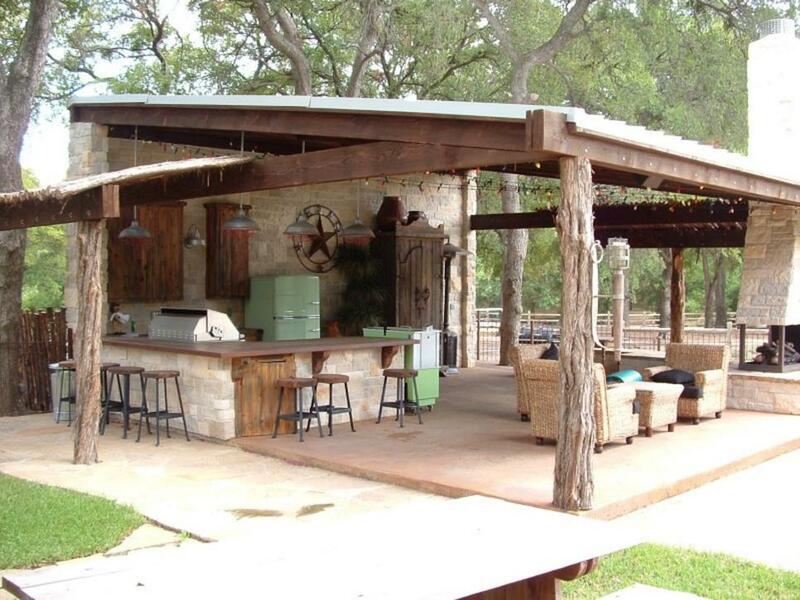 Put in tiled flooring in half of your backyard and build a three sided kitchen bar using crude stones. 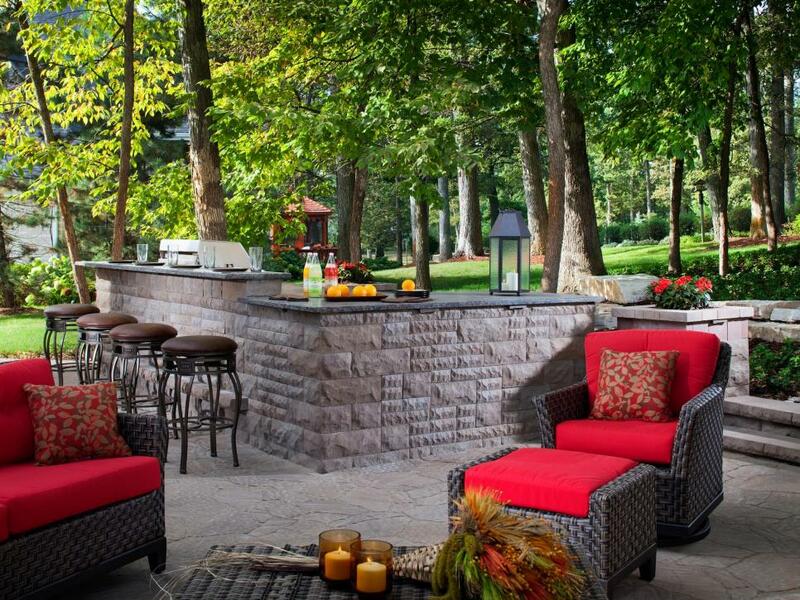 Cover this with crude stone slabs to complete the look. Carve out a small portion on one of the sides to place a small refrigerator within it. 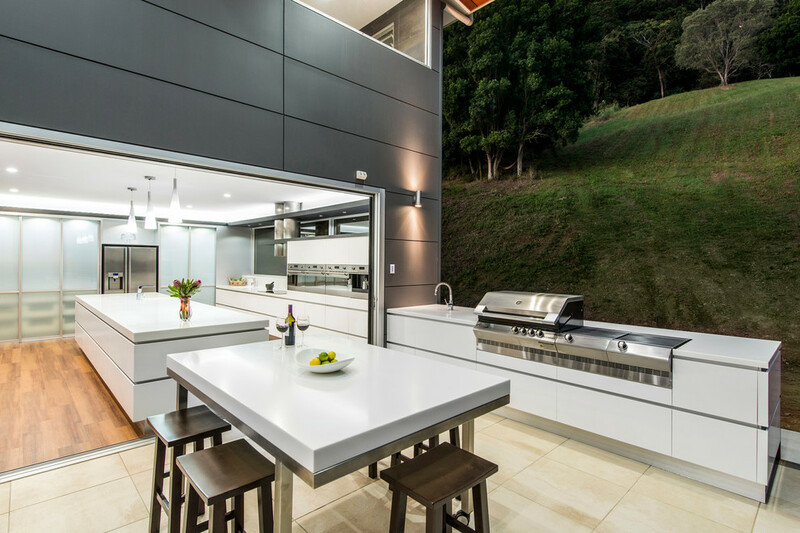 You can even add an electric grill to the countertop. 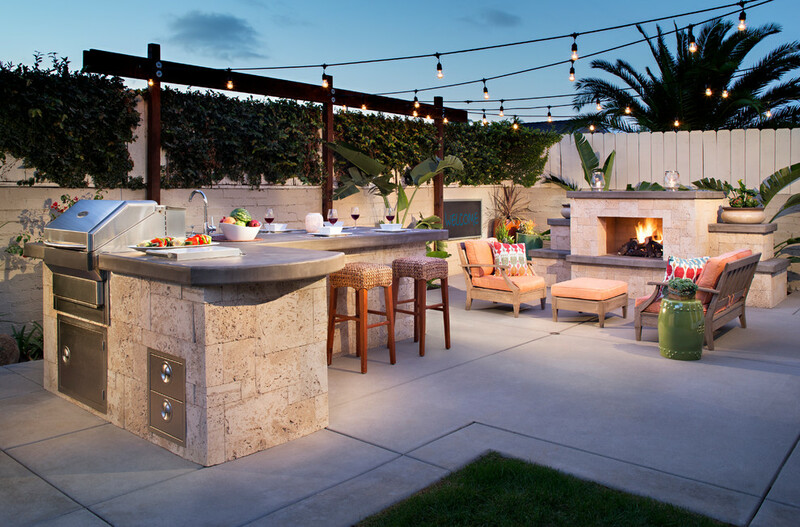 Recessed lights on either side of the bar would make for adequate lighting when you plan to cook and eat outdoors in the evening. 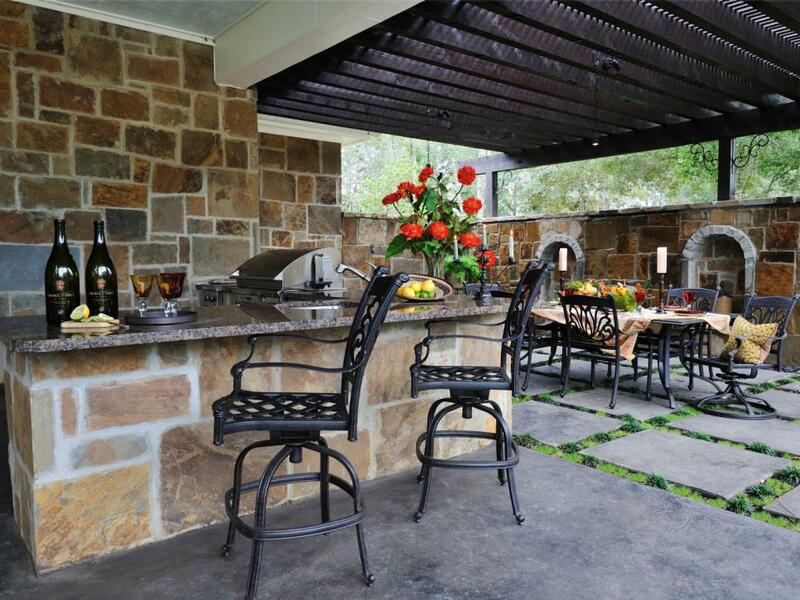 On one end of the bar, add a few wrought iron chairs with leather cushioning to design a seating space. 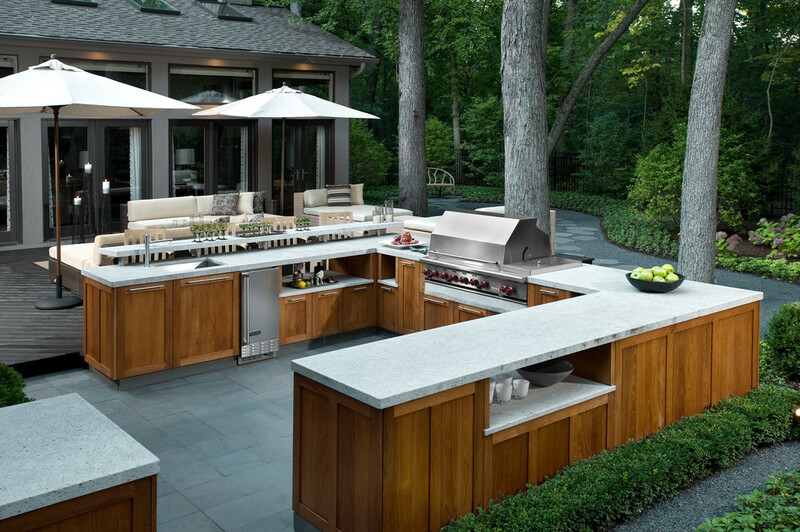 If you do not have enough space in your backyard to design a full-fledged kitchen bar, go ahead and put in a sleek L-shaped counter with marble top. Use this to place your oven and other cooking essentials. Add a couple of chairs to the far end of the counter. Put in a square dining table right next to the bar with four chairs to add in a dining space. 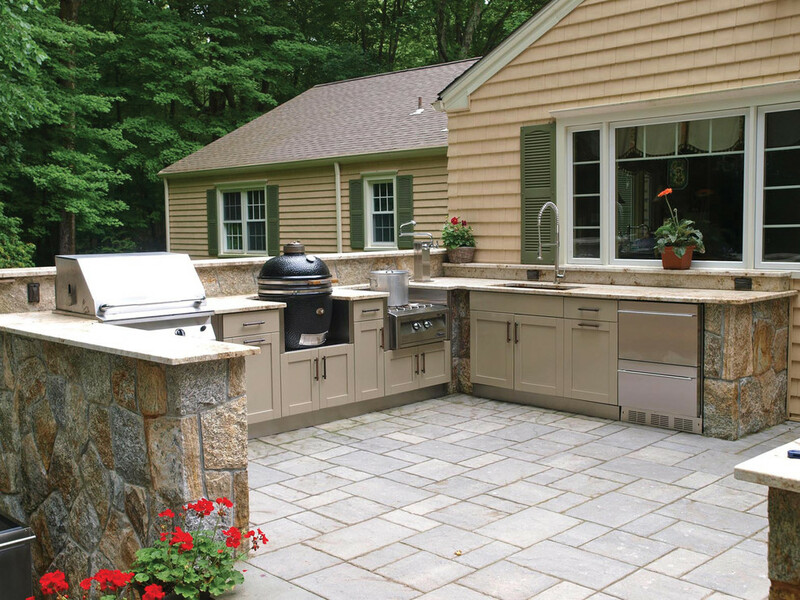 In case you have a huge outdoor kitchen with foldable picture windows in your backyard, you can definitely design it like your conventional kitchen with cabinets and shelves and marble countertops with all essential cooking accessories. Design granite or marble shelves across the outer perimeter of the kitchen. Add in high leather woven dining chairs to these counters to serve as a perfect kitchen bar counter. 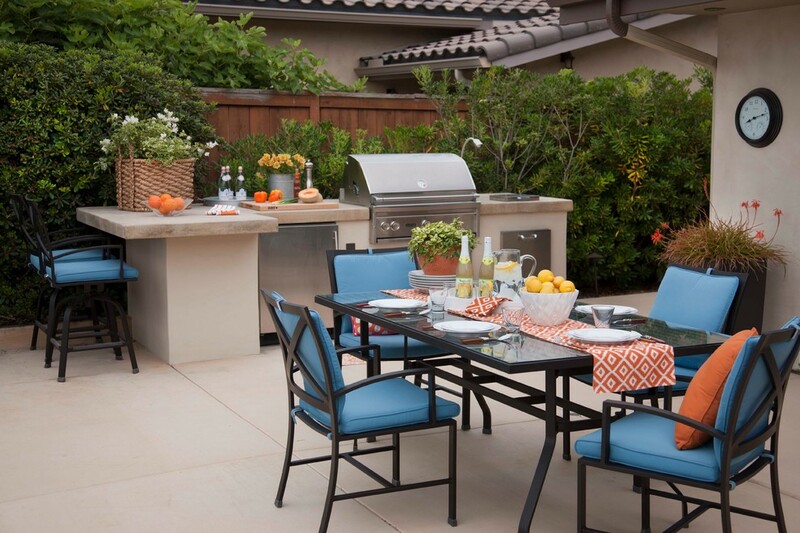 Barbecues in the backyard are so reminiscent of the bright spring season. 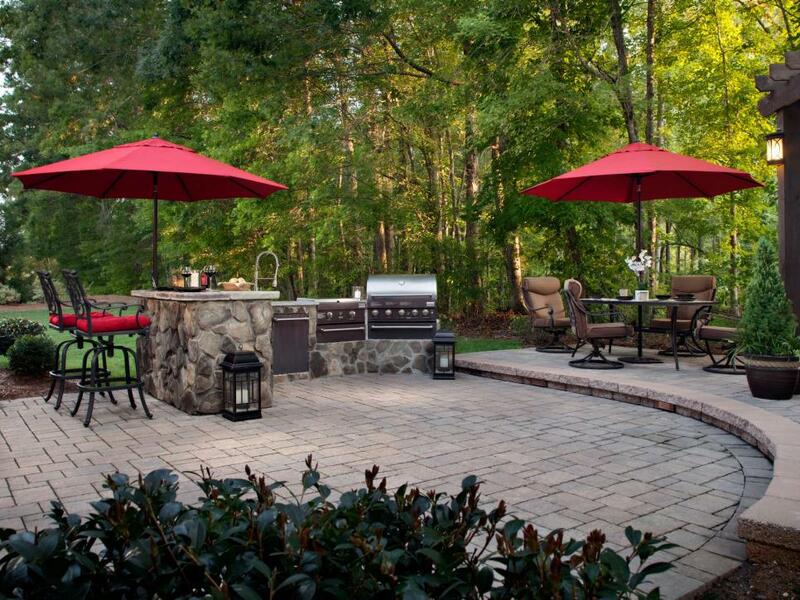 So, if you want to enjoy this in style, add in a barbecue grill to your outdoor kitchen countertop. An L-shaped kitchen counter with storage cabinets beneath would be great. Use granite slab for the counter top and add in a sink. Facing the kitchen counter, design a kitchen bar using crude stones and add in a granite top similar to the one used for the kitchen counter. Place a few rattan high chairs with cozy cushions on the other side of the counter. 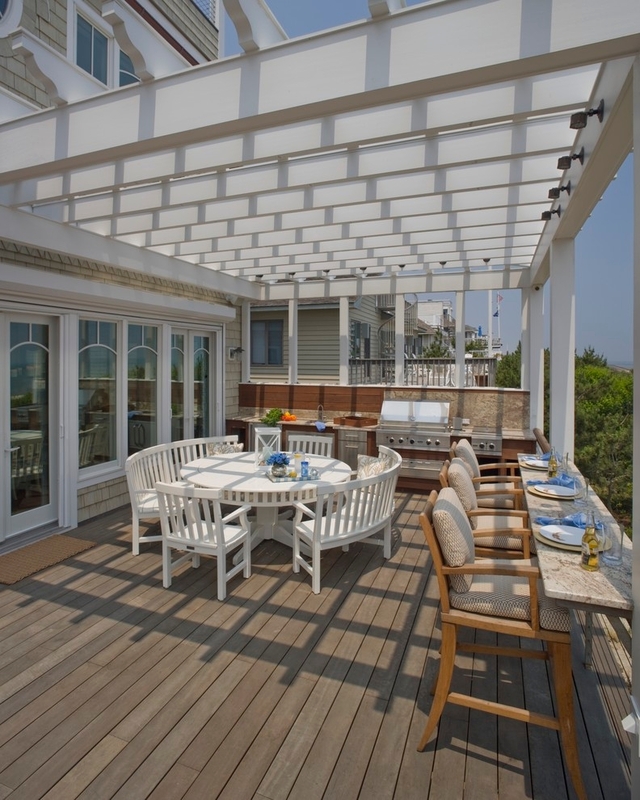 You can even place an outdoor dining set in case you have more guests to entertain. 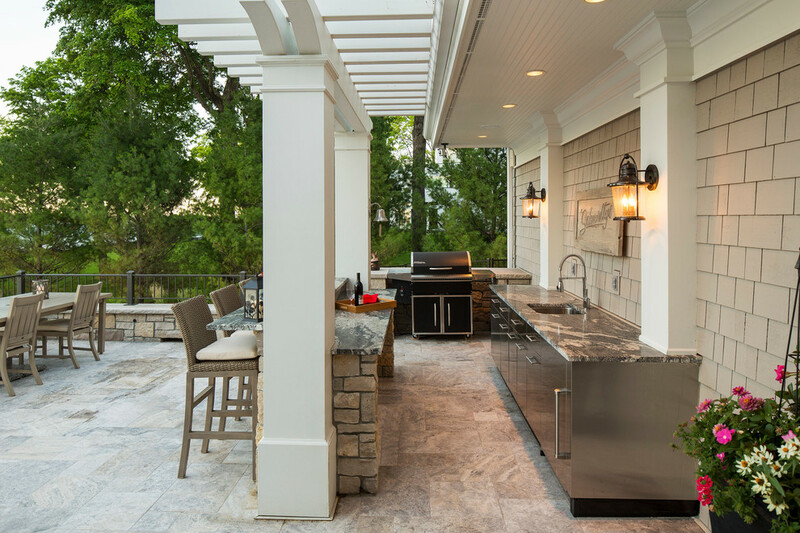 If you have built your outdoor kitchen on a covered outdoor deck, then design a kitchen bar using crude stone and use a clay slab for the counter. 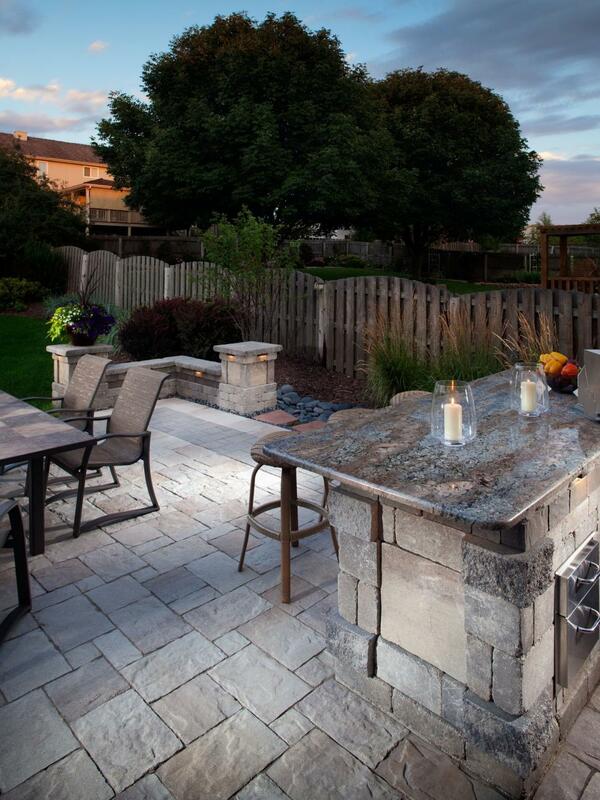 Add in a semi-circular kitchen bar facing your kitchen counter in a stone and clay to maintain the balance. A small kitchen sink, an oven on the counter top and a mini refrigerator under it will definitely make meal hours comfortable. Place wooden high chairs across the kitchen bar and add a dash of coziness to these by adding in seat cushions and throw cushions. Choosing these in the same shade as that of the kitchen counter would definitely add to the whole setup. 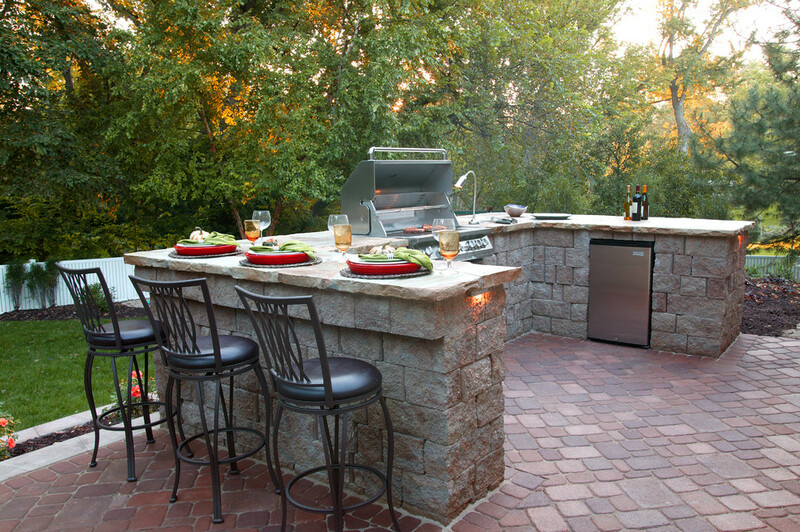 At conventional outdoor kitchen bar comes with a sink, glassware and beverage storage and quite often, a drink chiller or ice storage. Designs with stainless steel sinks are quite common as they are easy to clean. If you’d like to give your facility a classic look, then this can be a perfect design of choice. While a single basin may be sufficient especially if you have a dishwasher, two or three basin designs are more ideal. 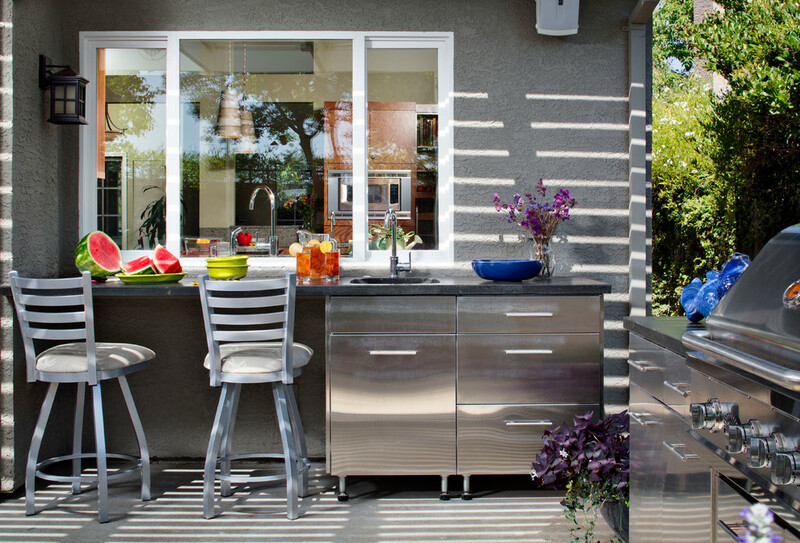 A kitchen bar can give you a chance to enjoy your meals as you breathe in fresh air. 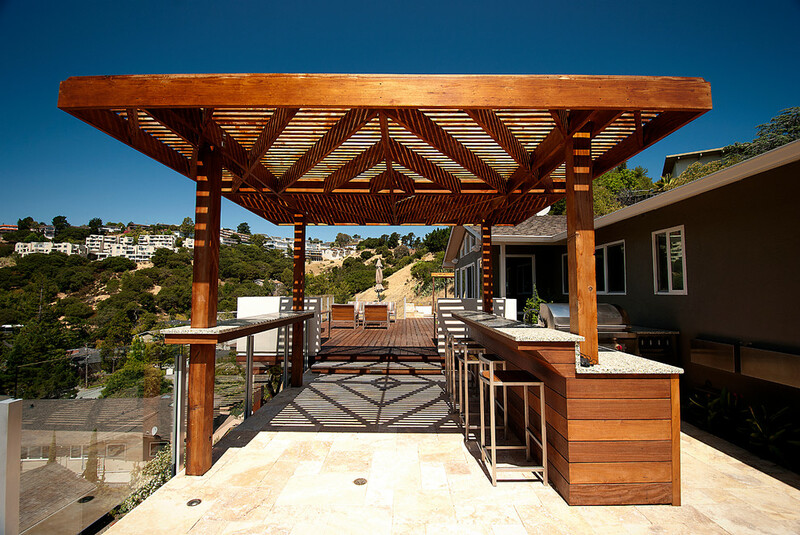 However, its design primarily depends on upon the amount of space that is available. 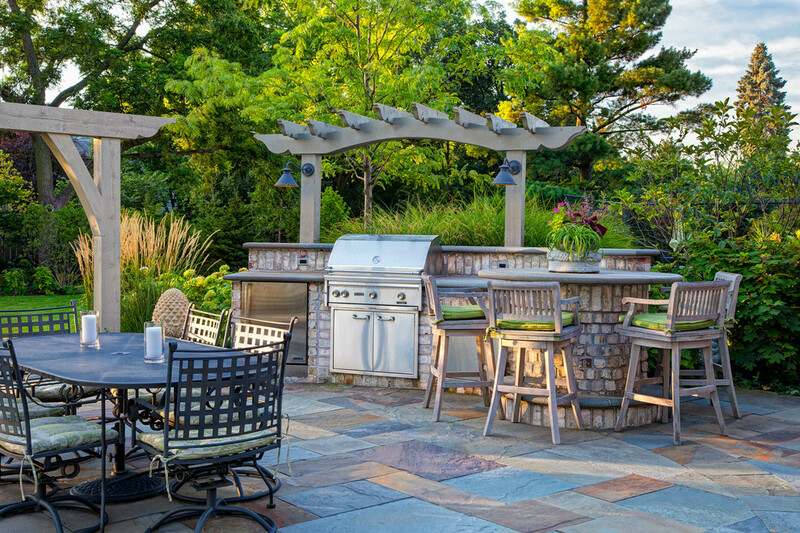 If you have a lot of space, you can even add in some shelves and cabinets to ease up your outdoor cooking. 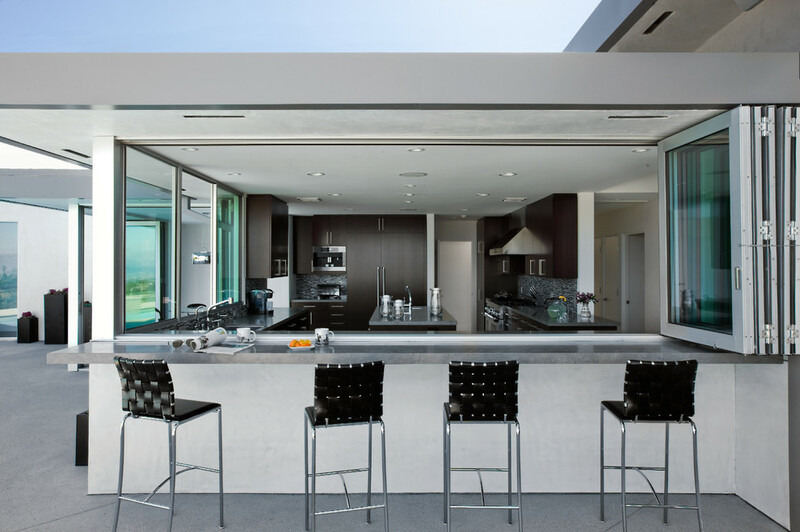 But if the space is less, sleek counters with light weight chairs would be a better bet. 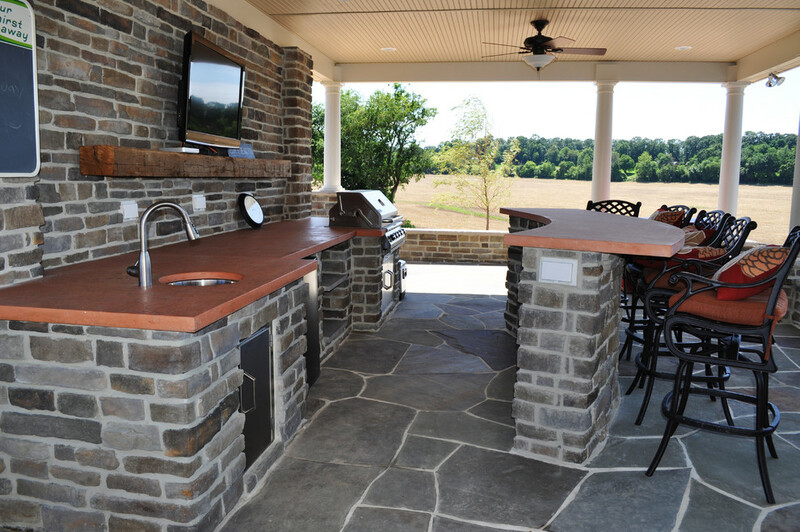 If you have more outdoor kitchen bar ideas, do share these with us.